The fine weather brought out almost a hundred entries for the CORRALEA COURT HOTEL sponsored tourney and what a score the winner Jason Cullen had, playing off five….. 44 points! aided by four birdies on the back nine. Awesome !!! Ronan Stephens finished second, four points clear of Luke Tighe in third. 1. Jason Cullen (5) 44 pts. 2. Ronan Stephens (14) 40 pts. 3. Luke Tighe (23) 36 pts b/d. 4. Ben Carty (8) 36 pts b/d. The first Wednesday open of the season kicks off this week April 10, with placing on the fairway only. Finally, as from April 21 (Easter Sunday) only paid up members will be eligible to win a prize. Ladies results 31/3/19 Seamus Walsh Pharmacy. 1st Martina Casserly (14) 36 Pts B/D Cat A Jacqui McGrath (17) 36 Pts, Cat B Clare O Halloran (25) 33 Pts, Cat C Margaret Gilligan (28) 31 Pts B/D CSS 36 pts. 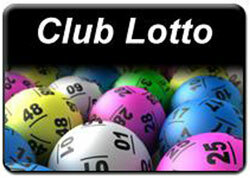 There was no winner of our lotto jackpot worth 2,800 euro. Numbers drawn were 12,13,18,26. We had one match 3 – Seamus Ryan. We played 12 holes and had a good turnout. This was our last of the season and our final outing takes place at Galway Bay Golf Resort next Saturday. 1, Michael Barrett (12) 25; 2, Paddy Coyne (17) 24; 3, John Stevens (25) 22; 4, Michael O’Connell (16) 22. Bottles: Bob McDonald, Richard Canavan, John O’Halloran. Goats Results. 1. Christy Burke, 2. Ml. Murray, 3. Matty Gannon.